Blue Beyond - TRAUMA OF THE SPIRIT - Displacement of Energy 'breaking' through after one has cleared and healed of the Human Soul - Return To Spirit - 17th August. I went through a very big 'trauma' of my spiritual soul in the last 24hours...as I have felt all I could in the human (in certain 'areas' and experiences that my soul was needing to heal)...and this was next to be felt in the spiritual soul. 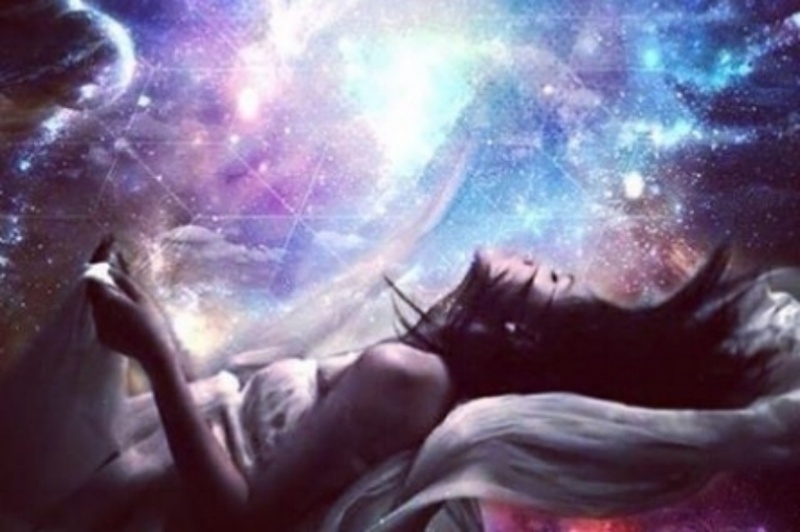 In a further alignment of the spirit to our soul...breaking through and feeling 'up there' from a situation/s of the past that has re-presented itself to be fully healed..from Soul to Spirit (and Spirit to Soul). As a Trailblazer, I went through this last night and at the 'breaking point' of the energy that was needing to be displaced, I felt woozy and weak, and sort of 'lightheaded' and tears poured in a very different way...in a different way of what I have ever experienced before and more than I can explain or put into these words, as these words don't quite cut it. In a way of 'knowing' I had done all I could in the human, yet I was still feeling on some level what I was in the Spirit. (In having a link with both Soul and Spirit for some time now, which is now new to humanity to be able to bring this information through). Briefly for just a moment as this occurred at the 'break point' I felt myself 'not here' and then I was back....As I felt the Union of the spirit to the soul was felt physically. There was like a 'displacement' of energy that needed to occur for this further Union of one's soul and spirit. Picture two circles at a small distance (with a tube or cord linking them)...and as they start coming together, there is energy in-between...and as those two join closer and closer there is a displacement of energy in-between that needs to at some point, 'break' and disperse, to allow the two circles to join closer (being that of the Soul and Spirit). The first initial closer joining of the two (after one has made a re-connection) is the 'greatest' initial disbursement of like a river that has burst its banks...to make way for further smaller displacements to occur...to keep shifting and releasing the energies in-between the two...closing the gap or space more and more each time. This is eons and lifetimes apart from this lifetime of what we can consciously recognise what this is. Old 'junk' energy that one has been through and experienced already. This is why we need to be aware of and not let the 'head' run off with 'are we done yet' or 'I've finally faced this completely'...as that is the ego wanting control and to place things 'in a box'...we are not meant to be 'in a box'...we are to be free flowing, going with the ebb and flow of energies...as ascension is a process and journey and is continual. The person that you are and the person that you will become, when you are no longer physical is your spirit. The spirit is the nonphysical essence of the you that you know of as yourself. It is you without a physical body and free from time and space. The next link upward in the chain is your higher-self. This is the part of you that exhibits and possesses all of your best and most proficient qualities. It is the person that you can evolve into, from your present perspective. This self is a being that is both separate and part of you. However, for argument's sake and clarification, we can say that your higher-self is what you will become, in the future, when you complete your evolving in the physical development system - from wisdomsdoor.com and you can read further yourself on this as there is the Monad as well. Which then allows a closer or stronger connection to one's Higher Self - overall. How this will affect each soul, is different...as it depends on what a soul has 'worked' through and healed in the Human Soul...and how far the 'gap' or 'distance' is from one's soul to spirit. It is a gradual 'bringing in closer' of our soul to our spirit...and now humanity is making the connection more so than ever before. Souls are seeing and feeling so much now of 'two worlds', the human and the spirit...and learning to blend and integrate this through the human being..and this takes time to do so, in real-time...a balancing and adjusting of keeping grounded while seeing and feeling all they are in the Spirit/Astrals and Multi-dimensions - an expansion. It takes 'time' to learn how to blend one's power of being connected into the human being, while being grounded. Yes this is amazing and 'outstanding' when one finally reaches this place in their soul's ascension...and then as we continue to bring those two closer together, that is when the displacement of the old that has been worked through in the human begins occurs. The bringing in of the spirit to the soul has come closer in the last 24hours especially...and as it did energetically, in coming closer together, the was a displacement of energy to do so. That displacement is that of a trauma of the spirit from what one has worked through/cleared in the human soul. So this may come as a bit of a 'shock' to souls...to re-feel, yet differently something from the past that one has already 'dealt with'. It was needing to be healed and released in the spirit as well as one has come so far in their healing and souls growth in the human soul. To allow a closer UNION of our Soul and our Spirit. "You have come a long way in your journey. No, it hasn't been easy but you have made it through. Acknowledge, for just a moment, the strength and courage that you have discovered within you. See how much you have grown over this time, slowly blossoming into who you are today. This is the card of triumph, heart-felt connection, and mastery. Hold your head high and feel proud of who you are. Your guides and Angels are certainly proud of you! Your hard work and determination over this lifetime has brought you here today. This is the light at the end of the tunnel. And although your journey is far from over, you have come much farther than most. This signifies a renewal of the heart, mind, and spirit. Your spiritual connection to Source is stronger now that's it has ever been. Trust in it, flow in it, and shine in it! Your beautiful heart is open to both giving and receiving the messages from the heavens. Your time has come - and it is now. This is a time of manifesting your highest will. It is a time of truly stepping onto your path with confidence in what you are here to do, and how you are to do it. It is a time of hopes, wishes, and dreams coming true. True greatness of who you are is ready to express itself fully. Now you can experience true empowerment, deep heart-felt connections with others and a feeling that all is right in your world. You have the work. So you deserve it! Where there was a time when you may have questioned whether Spirit was even there, now you won't. 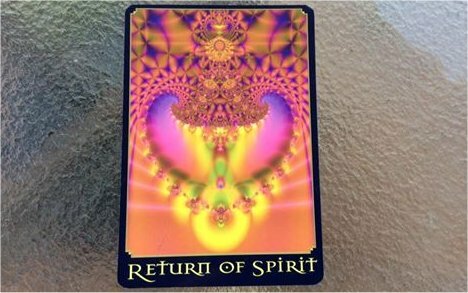 This is your own sacred Return of Spirit". When one has this experience of the 'displacement' of energy from the Spirit to the Soul, then there is a gradual 'coming back' and readjusting in the human being...to then be able to see and feel things from a different 'space'...being able to have a little distance from what was/is going on in one's 'life'....This is currently where I am at...as this too is another new experience to blend and integrate into the Human Being and/in all I AM. May this assist and guide those souls that are wanting or needing this information, those who are ready and will on some level resonate to this...may you find some 'comfort' in knowing we are breaking through and you are definitely not 'on your own' here...very far from it. As we Return To Spirit of the Divine. Multi Dimensional Ancient Earth Master - First Wave Trailblazer Way/Seer-Rainbow Bridge in linking our Soul to our Spirit - through our Emotions of the Divine. All Anastacia shares is from experiencing energies herself, feeling the energies through her two souls (human and spirit) as they come to our planet. From 20years of personal experience in linking her soul to her spirit, through her emotions this lifetime and past lives - back to Source in service to Humanity and Gaia Guiding/Teaching Humanity. From the Ancient Ones, Shaman, Blue Ray Elder, Pleadean, Lemurian, Atlantean, Arcturian, Lyran. Email theoraclespeaks@bigpond.com if you feel you would like a one-on-one personal healing of the Divine (and what the exchange for this is).